Do you sometimes feel your heart pounding or feel it racing? It could be ATRIAL FIBRILLATION. 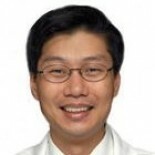 My guest today is Dr. Charles H. Koo MD, Interventional Cardiologist with Meridian CardioVascular Network, to discuss AFIB.